C: Drive is constantly running out of space? Tired of cleaning up temporary files on Windows manually? 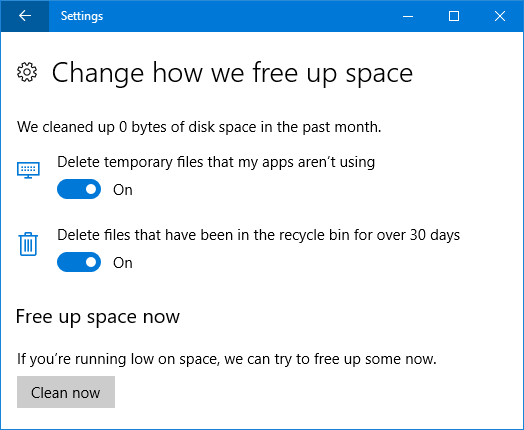 Starting with Windows 10 Creators Update, there is a new feature called Storage Sense which can automatically free up disk space on your computer, by deleting temporary files and content in your recycle bin older than 30 days. 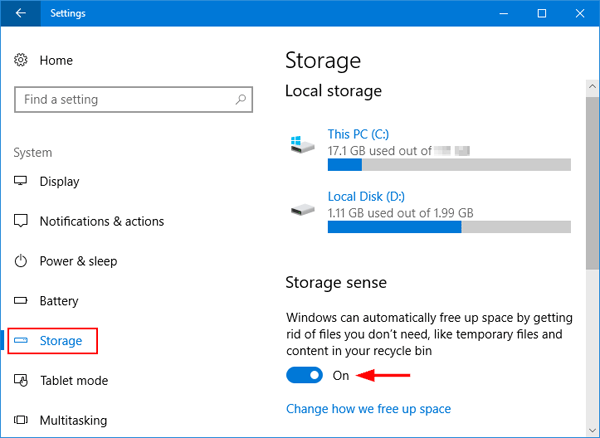 How to Automatically Delete Temporary Files with Windows 10 Storage Sense? 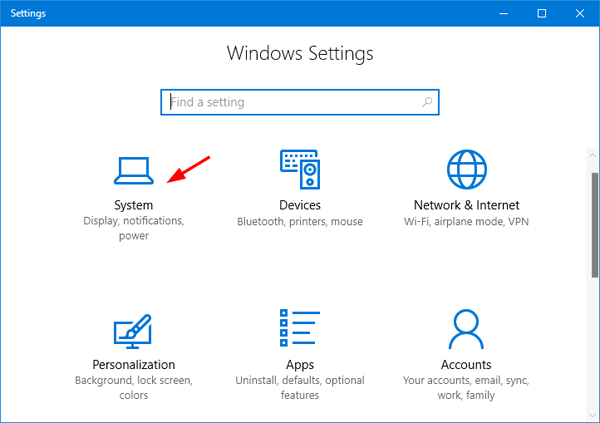 Open the Settings app by pressing Windows + I keyboard shortcut, and then click the System category. Select the Storage tab on the left. You’ll see the new Storage sense feature on the right. It’s disabled by default, so switch the toggle to On to start using it. If you want to change what Storage Sense cleans up, click the “Change how we free up space” link. On the next page you can choose to “Delete temporary files that my apps aren’t using” and “Delete files that have been in the recycle bin for over 30 days“. A little further down the page, there’s also an option that allows you to manually run a disk cleanup. If you click on the Clean now button, Storage Sense will free up your disk space immediately.